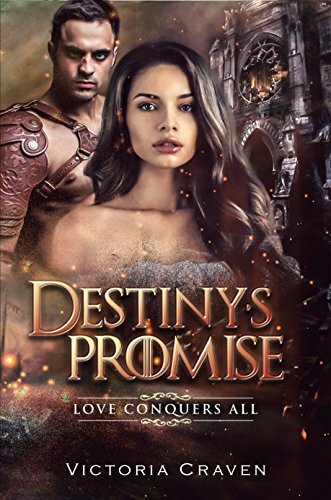 My new book, Destiny’s Promise is available now. It was a project I loved and hated at the same time. I loved the story and the characters, even the antagonist, Disa. She was a character I enjoyed creating, not just as the bad guy, but a complex individual. I loved writing Carina and Randolf’s story and their love that spanned over two lifetimes. It was a great experience expanding Randolf’s character, going from a secondary character to the hero of his own story. If you read my other two books, Randolf powers will surprise you. Carina is the woman I always wanted to be. Her independence and compassion is compelling. Over two lifetimes the tether of love could not be broken between the two of them, despite Disa’s vow to separate their souls and banish them to desolation. As I said, I hated this book at the same time. In my mind I knew the beginning and the end and all the events in between, but it was the details that had to get them from one scene to another that was a challenge. I kept thinking, “How do I get from here to there?” and I spent a great deal of time playing every scenario that would make it work. As a writer, wouldn’t it be nice to know everything, from beginning to end including all the details in between. I envy the writer who can breeze through it effortlessly. Don’t get me wrong I love my stories. My head would explode if I didn’t get them written down, I just had a love, hate relationship with this story, but I persevered and made it one of my best projects. I can’t continue without saying my husband worked with me side by side editing this book. He challenged me to dig deeper into the characters and plot. I grew angry with him sometimes, telling him, “I can’t,” but he always said, “you can.” I was exhausted at the end of each night after answering the really tough questions. I can’t tell you how much his input helped me as a writer, and for that I will always be grateful. For you writers out there, do you sometimes love and hate you work?